Everything's near a record high. Is the market too hot? Forget about raging bulls. This market is a runaway train. Stocks are finally set to take a breather on Wednesday. But even with the mild sell-off, it's been an amazing start to 2018 on Wall Street. 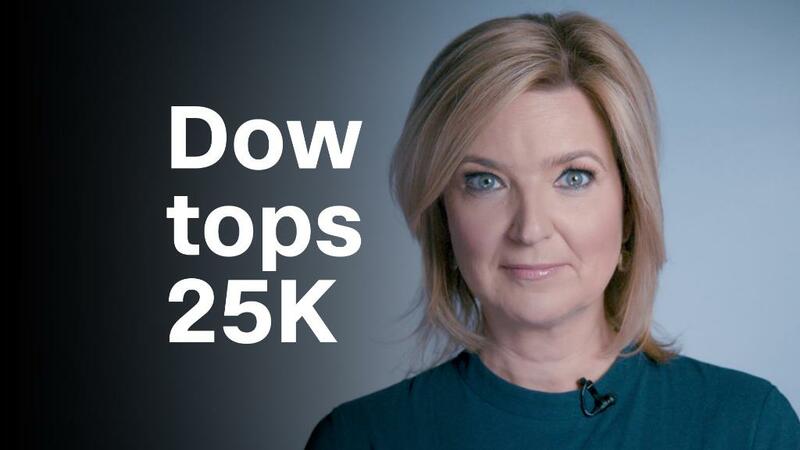 The Dow is near an all-time high. So are Dow transportation stocks. The S&P 500. The Nasdaq. The small companies that make up the Russell 2000. Big corporations, too: Boeing (BA), Johnson & Johnson (JNJ), Fiat Chrysler (FCAU), Walmart (WMT), DowDuPont (DWDP), Union Pacific (UNP). And the party is global. German and British stocks aren't far from record highs. The Nikkei in Japan is trading at its highest level since 1991. For a time, the rally was mostly about tech stocks -- especially Facebook (FB), Amazon (AMZN), Netflix (NFLX), Google (GOOGL), Apple (AAPL) and Microsoft (MSFT). But not anymore. These days it almost seems easier to talk about what's not near a record. The rally is so broad because hopes are high for strong earnings by companies across the board. That's partly because the healthy economy is keeping consumer demand strong. But the lower corporate tax rate will help, too. Companies are touting bonuses and pay raises that they plan to give to workers with their tax savings. Some electric utilities are even promising rate cuts for customers. And many companies will probably buy back stock and boost dividends as a way of rewarding shareholders. Even big energy stocks like Exxon Mobil (XOM) and Chevron (CVX) are starting to join the rally thanks to the recent pop in oil prices. "It's more heartening that the rally has broadened out," said Tom Essaye, founder of The Sevens Report, an investment research firm. Essaye said he understands why some people may worry that everything seems to be going up at the same time. But he says this really is different from the tech bubble of 1999 and the months leading up to the financial collapse of 2008 because earnings have been so strong. "Yes, there is a natural reaction to say we've seen this before twice in the past 20 years and we know how that all worked out," Essaye said. "But with profits surging, that lifts everything higher." That is true for now. Still, markets never go up forever. The longer stocks rally without a pullback, the bigger the risk of a nasty downturn when the bubble pops. "Things have maybe gotten a little frothy in the short run, and it wouldn't be a bad thing if we had a correction. It could be a healthy reset," said David Joy, chief market strategist with Ameriprise Financial. What could bring about a correction? Erik Knutzen, the multi-asset class chief Investment officer at Neuberger Berman, said in the firm's 2018 market outlook that investors need to closely watch bonds. The yield on the closely watched 10-Year U.S. Treasury is back above 2.5%, and experts think it could climb as high as 3% if inflation creeps back into the economy. And if that happens, central banks around the world may raise interest rates more aggressively than investors now expect. That would make it more expensive for people and companies to borrow money and could start to slow down the economy. Knutzen said that the firm is also worried that China's economy might start losing steam in the second half of the year. Elections in Brazil and Italy and the U.S. midterms also pose risks. So it may be smooth sailing for stocks for the time being, but investors need to be prepared for bumpy seas. Volatility is not dead yet.